On a most basic level, a computer programer writes, well, programs. Programmers will also rewrite, debug, maintain, and test (and retest) software and programs that instruct the computer to accomplish certain tasks—such as storing or retrieving data—so the computer can perform better and more efficiently. A computer programmer will convert what needs to happen into one of many computer languages in existence. 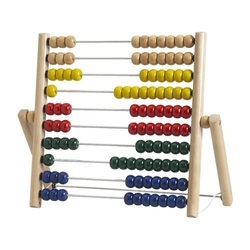 c3000 BC : The Chinese abacus was developed about 5000 years ago. It was built out of wood and beads. The abacus was so successful that its use spread form China to many other countries. 1946 : John Mauchley, an American physicist, and J. Presper Eckert, an American engineer, proposed an electronic digital computer, called the Electronic Numerical Integrator And Computer (ENIAC), completed in 1946 and is regarded as the first successful, general digital computer. ASIMO, an acronym for Advanced Step in Innovative MObility, is a humanoid robot designed and developed by Honda. Introduced on 21 October 2000, ASIMO was designed to be a multi-functional mobile assistant. He can can recognize faces and voices, balance, lift objects, kick, walk, and use stairs.